Today we are here with new stuff that will help you in removing the various items of the post info section like the author, category, date, and comments. Please follow the various steps for implementation to remove Divi Post Meta Data. 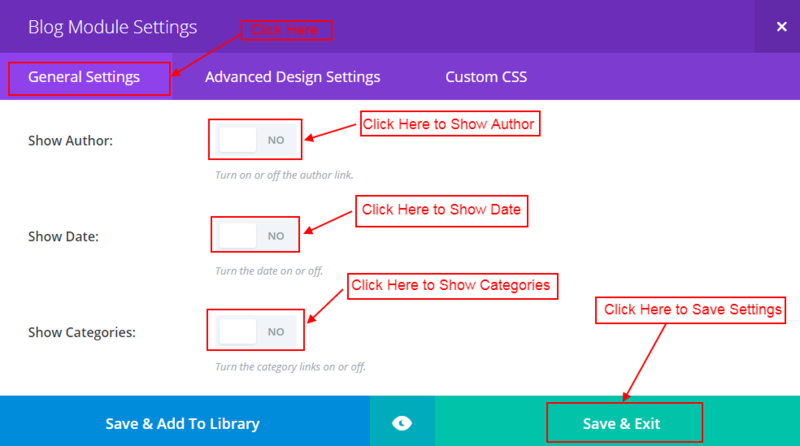 Firstly we need to open our “WordPress” dashboard and then click on “Layout” tab which we will find by clicking on Divi>> Theme options>> Layout. Here we can see various options for removing the post Meta data. We can remove items by just click on it, and only highlighted items will appear in the post info section of our single post page. We can remove comments and comment form by disabling “Show comments on posts”. If we want to remove featured image on single post page then we need to disable “Place Thumbs on Posts”. Now click on “Single Page Layout” and then enable “Place Thumbs on Pages” if we want to show thumbnails on pages. Then click on “Show Comments on Pages” field for enabling comments on pages. Now moving to the last sub-tab “General settings” section of the “Layout” tab. This setting section is for the Archive pages and all the settings are controlled from this section. Please refer the below image for more. It may be possible that we have disabled certain thumbnails by using theme options but they are still showing on blog pages, this is because blog module thumbnails setting override the settings of theme option. 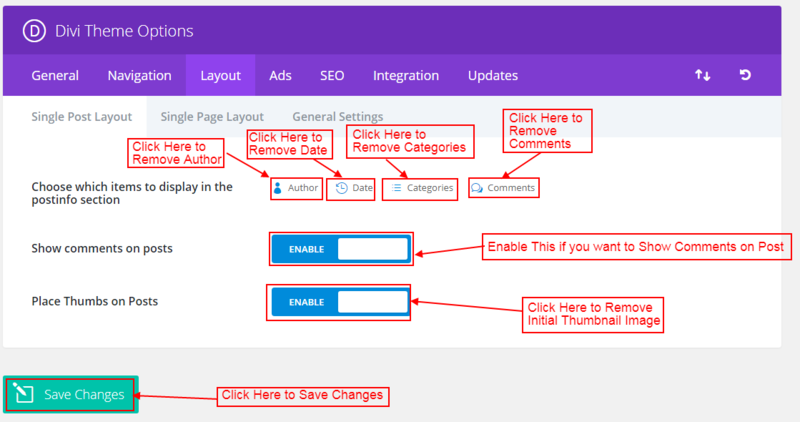 In this case, we can use thumbnails settings of blog module to control thumbnail appearance over blog page.